For any trip a place to stay is the main necessity and that place should have the main ingredients to be considered as the bestest of choice. Home away from home , good ambience , easy to reach , well maintained property and the staff who is at service at the slightest of call and one of the main ingredient is Pocket friendly. 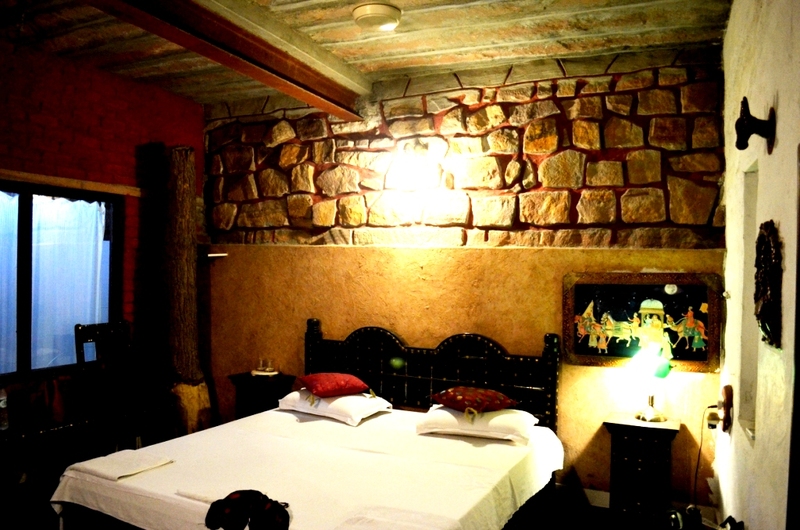 I am always in the look out for these type of hotel’s and in the search i happened to reach my Hotel in Jodhpur which was Mandore Guest House. I had searched this guest house, by the help of Tripadvisor. 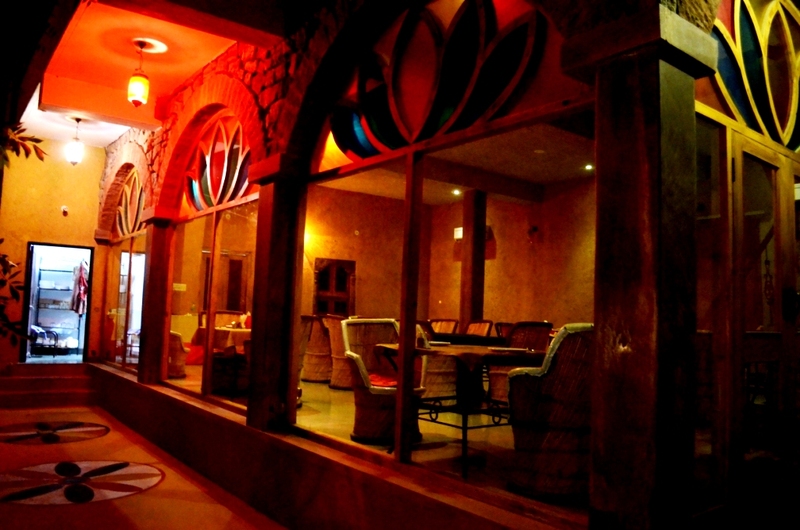 But dont get confused by the name of this place , once you have reached here it doesnt look like a guest house. After a Day long journey from Udaipur with many stop overs , what else i could have imagined. Thanks to Mr. Surender(owner) who gave me the best of room. My first view of Mandore guest house was quite a unique for me also , how could they name such a nice property as Guest house , lush green property it was like i had entered to somebody’s farm house. At the first moment only i was too much impressed by their warm welcome , filling up the personal details in a register is a common thing but here they were very courteous , “Offered me a welcome tea of which i was in badly need , and rest of the work would be done later on sir you first freshen up you are coming from a long journey , paper work could be done later on” , what else could i expect. Day long journey , tiredness had grabbed me and it was the time for a tight sleep. The time when i had checked in , i was so tired that i had missed this Bonsai just in front of my room. 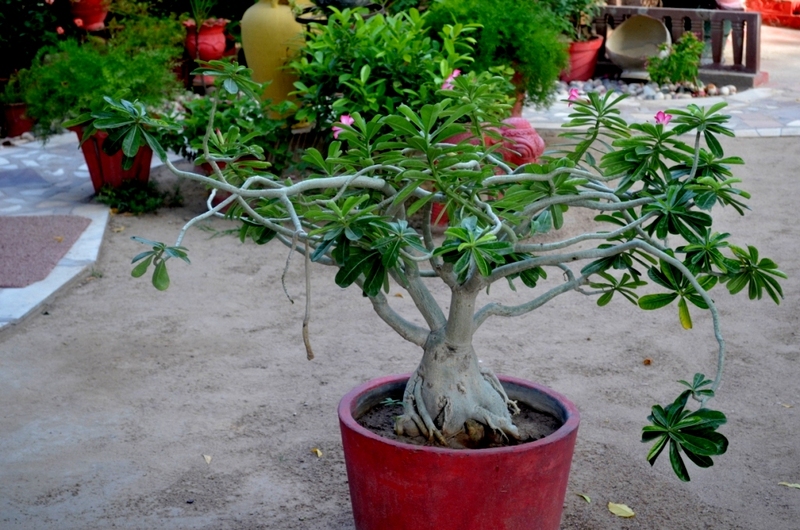 I have always loved the Bonsai tree and here at Mandore Guest House they were in plenty. 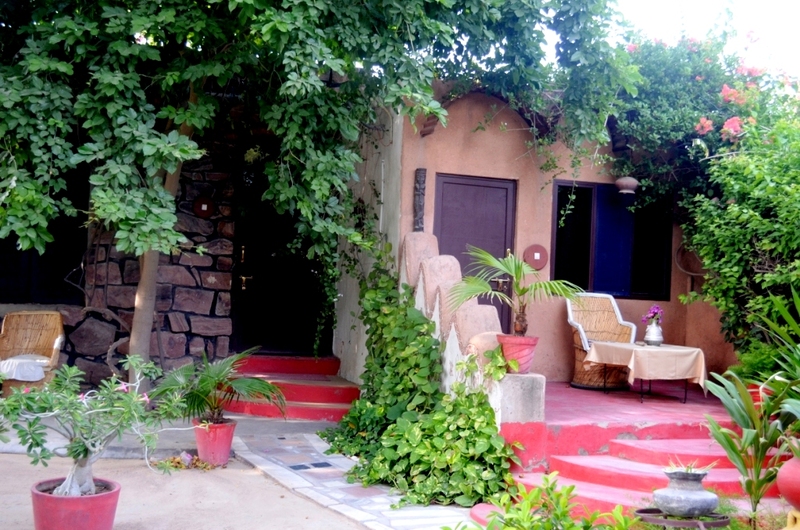 Next morning i had to leave the hotel quite early , as i had only one day to explore Jodhpur. It was quite early and when i came out of my room to see the lush green Mandore Guest House in day light , first voice came in my ears , ” Good Morning Mr ” it was some foreign guest staying in hotel that time and was on his morning walk , and the other person following him was Mr. Surender (owner of Mandore guest house). I also gave them a bit of company , only for a single round , may be they had time but i had to leave for my tour so i left them and came back to room to freshen up. They had given enough time and company to have a look of the property. 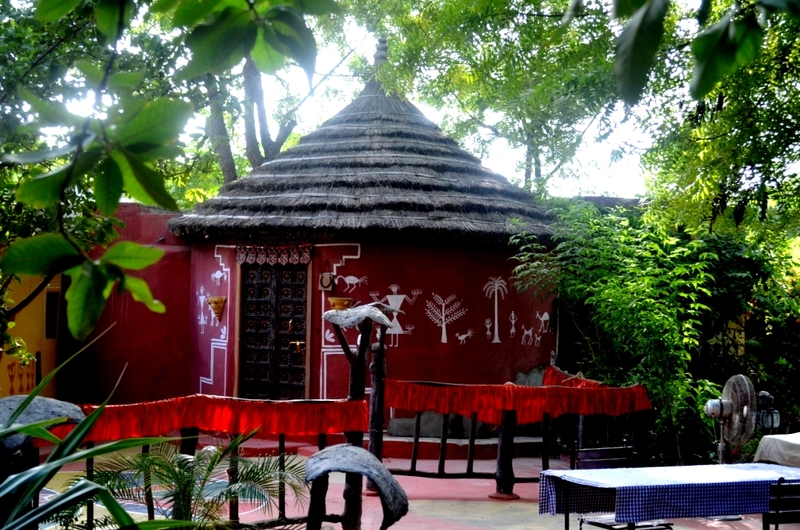 These were the Huts of Mandore Guest House which they had built just to give a feeling of rural touch to the customers who prefer a blend of rural and luxurious living both at same time. Though due to heavy monsoon , these huts were not occupied and were to be opened after september month only. When i came back from my day long tour of Jodhpur , i had just this much of energy that i could enjoy the feel of their Restaurant. Awesome food with awesome ambience this was the best part. Sorry had no pictures of food , as i was too tired and too hungry that i forgot to click. But this thing i would sure put in notice. This property has been made by a very different concept , which was some time user friendly and some time hampering also. No room service in this hotel , even no phones and Televisions in the room , though i was offered the only room with television in it. I do asked them for this concept , Mr. Surender had a very reasonable answer for it. He said , ” we want people to come out from room , have a chit chat with other guest’s and even my family also lives here whole day. That is why we have not given Television in any room except one , and one television has been placed in the common sitting area to which we call “Baithak” ( a local word for drawing room in India). 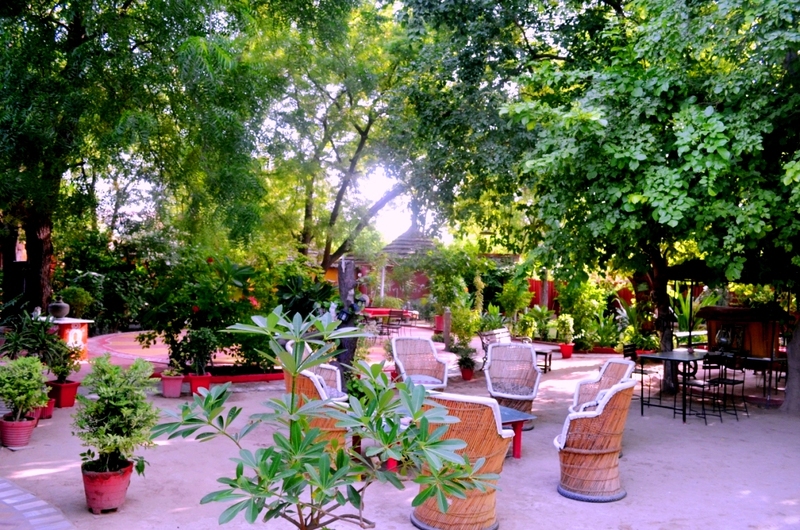 A nice concept with a nice initiative , many visitors include these things which they have omitted as the part of luxury , but for the owner of Mandore Guest House , meeting people knowing there culture and telling them ours is the main motif of this place and is the main ingredient of Luxurious stay for them , though rest of all ingredients were also present.